So you’ve come up with a brilliant freelance idea and are ready to get to work. Now comes the hard part: finding clients. I’m not going to lie – it takes some work to build up your initial clientele. However, if you go about client building it in the right way you can fill up your client roster faster than you think. When I first started freelancing I tried ALL of the methods. I spent far too much time on useless strategies and made all the mistakes. This is why I feel pretty confident in telling you which avenues to explore and which to skip altogether. 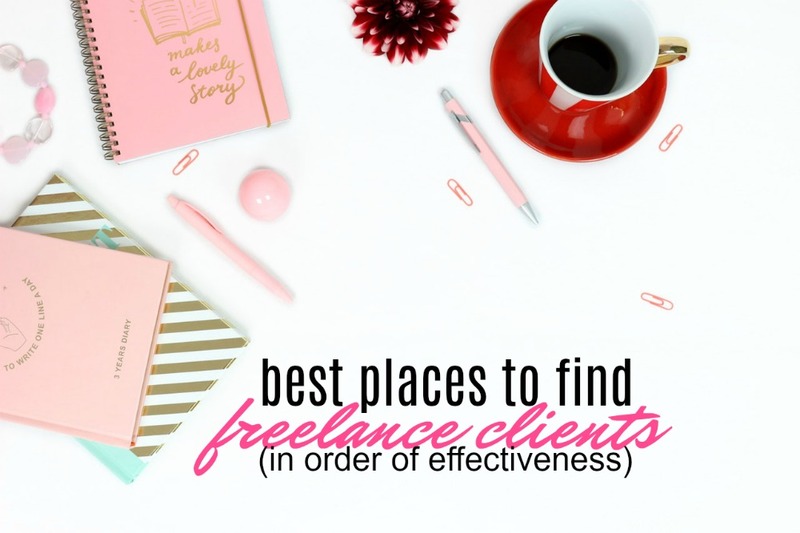 Here are five ways to find freelance clients in order of least effective to most effective. UpWork (formerly ODesk) was one of the very first places I tried to find freelance work years ago. I created a profile, bid on gigs, and landed nothing. If you’re not familiar, UpWork is a site in which business owners can post jobs and hire freelancers. Freelancers have the ability to bid prices on these job postings and the job poster will then browse through the bids and select a freelancer to hire. 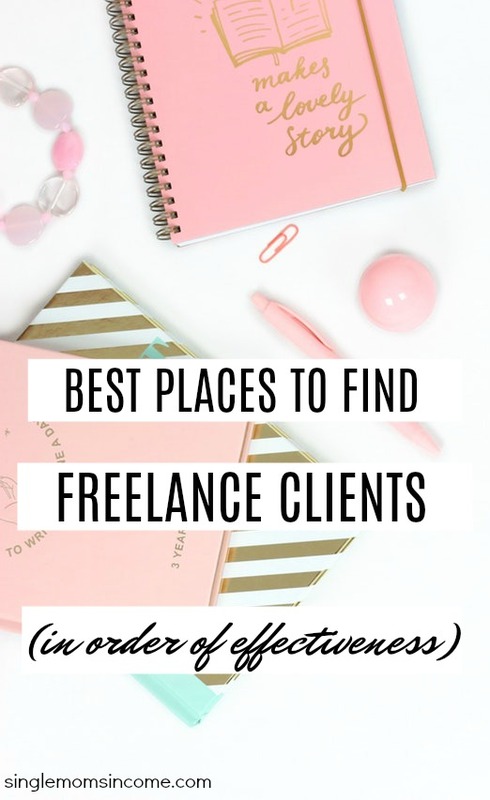 There are much better ways to find good paying, long term freelance clients which is why UpWork is at the bottom of the list! It might sound funny adding Craigslist to the job search but the truth is you CAN find jobs on Craigslist as long as you’re willing to use common sense and some basic research skills. One of my first jobs came from Craigslist. It was for an SEO agency. I had the pleasure of writing the same 200 word description of a business in as many ways as humanly possible so that it could be posted in directories. It wasn’t glamorous work but it was a job that I was happy to take. Maybe you’re in the same boat? If so, the key to finding Craigslist work is to look under major cities – New York, Los Angeles, San Francisco, Boston, etc. If the job listing sounds too good to be true, then it is. If the job listing looks spammy, it’s spammy. If the job says there’s a trial period DO NOT APPLY – they’re going to take your trial period work for free and never pay you. Use common sense and research skills to make sure the opportunity you’re applying to is legit. When you apply for the job make sure you read the ad thoroughly and follow the instructions. If you don’t your email will be deleted. If you’re new to the freelancing scene I’ve got good and bad news when it comes to job boards. Let’s start with the good news: there are job boards for almost every freelance skill one could think of. The bad? Competition on job boards is fierce. Even though job board competition is high I don’t think you need to rule these tools out altogether. In fact, if you have your targeting down (meaning you know who is most likely to hire you) getting jobs from these boards is a good possibility. ProBlogger Job Board (Writing/Marketing) – This job board features a lot of writing and social media management jobs. This is by far my favorite job board. Freelance Writing Gigs (All Types of Writing) – As it sounds this site is dedicated to writing jobs of all types. On this site they scour the web and compose a list of the day’s writing jobs broken down into categories such as blogging, copywriting, editing, etc. Krop (Graphic Design)– This has site has many graphic design job postings although not all are freelance so you’ll have to weed through them. Working Nomads (Just About Everything) – This is a curation site with freelance jobs in almost every area you can think of – writing, marketing, web development, design, etc. WP Hired (Everything WordPress) – This includes a lot of WordPress development with some odds and ends thrown in. When it comes to actually getting hired from job boards the key is to 1) only apply to jobs in which you are a good fit and are qualified for and 2) follow the instructions on the job posting. Many job postings will ask that you put a certain phrase in the subject line of your email so they know you thoroughly read the posting. I recommend you find a couple job boards that suit your skillset and spend ten minutes a day looking at them to see if there are any new jobs that suit you. Getting a referral is one of THE BEST ways to land a freelance job. Business owners want to hire people they can trust to get the job done. When someone is vouching for you it goes a long way. Let friends and family know what kind of work you’re doing. They may know someone who is looking for exactly the type of service you’re offering. It’s also possible that they may not. Either way, the more you get your name out the faster you’ll find clients. We’re finally down the most effective method: cold pitching! Cold pitching involves looking for business owners you think would be a good fit for your service and emailing them to introduce yourself. If you’ve done a good job at narrowing down the type of business that could most benefit from your service then cold pitching is really, really effective. I hope you’re doing well! I saw that you have multiple writers on your blog and I wanted to introduce myself in case you’re ever in need of another writer. If there’s ever anything I can do for you just let me know. If you have your targeting down it’s not hard to find companies to cold pitch. And while this method might feel awkward at first I promise you, it is hands down, the most effective way to find freelance jobs. I highly recommend that you center your freelance search on cold pitching. Make a goal to send out 10 emails per day until you have your clientele built up to where you want it to be. Spend an additional 15 minutes per day browsing Craigslist and job boards. If you do this faithfully you should be able to build up a solid client base in two months or less. Alexa Mason is the blogger behind Single Moms Income, a personal finance freelance writer, and an online entrepreneur. Come hang out with her on Facebook and Pinterest. I’m learning a lot from your emails, but this one has a ad banner that doesn’t or won’t go away even when the X is clicked. VERY annoying and distracting. Thanks for letting me know. I’ll look into it! I’ve never had much luck with Craigslist, so much junk to sift through and so many scam&spam jobs on there. I suppose that one sort of depends on the location you’re in a bit. I can see it being good for finding local small businesses to work with. Upworks and Craiglist works for whenever I want some app development jobs, but freelance writing is a little hard to get a long-term client, maybe its just me. Case Study: Can You Make Money Posting Ads Online? Is Package Forwarding a Legit Job? Nice Talk Review - Teach ESL from Your Smartphone! All information on Single Moms Income is for educational or entertainment purposes only. Please consult a financial professional for professional advice. Affiliate links may be used on this page. Single Moms Income may receive compensation and/or commissions from partnerships with certain companies. You can read my full disclosure policy here. I promise to only recommend products that I use, love and think are super helpful.